Junk removal is often a large part of everyone's normal clean up tasks, or a by-product of their business. Whether it's household trash, business waste, or construction debris, hauling it off and disposing of it all is a never ending task. And one of the most important facets of effectively managing this is recycling. Every year the EPA puts out a report titled Advancing Sustainable Materials Management: Facts Sheet. According to the EPA website, the report includes information on municipal solid waste, or MSW, generation. In addition, it reports on that year's statistics on recycling, combustion with energy recovery and the use of landfills. In 2014, 89.5 percent of corrugated boxes were recycled. About 61 percent of yard trimmings were composted. Organic materials such as paper and paperboard, yard trimmings and food were the largest component of MSW generated. Paper and paperboard accounted for over 26 percent, and yard trimmings and food accounted for another 28.2 percent. Plastics comprised about 13 percent of MSW; rubber, leather and textiles accounted for over nine percent; and metals made up nine percent. Wood followed at over six percent, and glass over four percent. 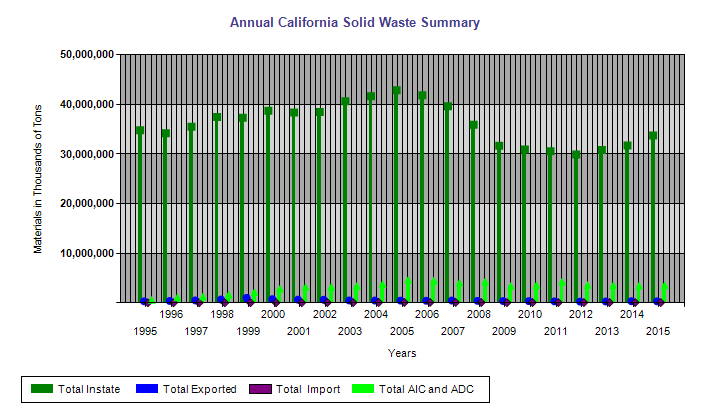 Other miscellaneous wastes made up approximately three percent of the MSW generated in 2014. We understand that opting for recycling and composting of solid waste can help in reducing so-called greenhouse gas emissions reduction. The EPA has estimated that in 2014, because of the 89 million tons of municipal solid waste that was either recycled or composted, there was an annual reduction of over 181 million metric tons of carbon dioxide equivalent emissions. This is the equivalent of the annual emissions from over 38 million passenger cars. AIC is Alternative Intermediate Cover - approved materials other than soil used as a temporary overlay on an exposed landfill face. The significant drop in total tons of solid waste between 2005 and 2015 can be attributed largely to increasingly successful recycling programs and technology. But there is still a long ways to go. For businesses in California, the CalRecycle website offers a number of resources for expanding their contribution to recycling. For consumers and homeowners, there is also a wealth of information and resources to help individuals and families reduce their "carbon footprint" and increase their recycling while reducing their waste production. We noted at the beginning that junk removal is often a large part of everyone's normal clean up tasks, or a by-product of their business operations. But getting the junk recycled can sometimes be a challenge. Especially when your looking at TV recycling, or refrigerator recycling, for example. So where can you go for professional help? 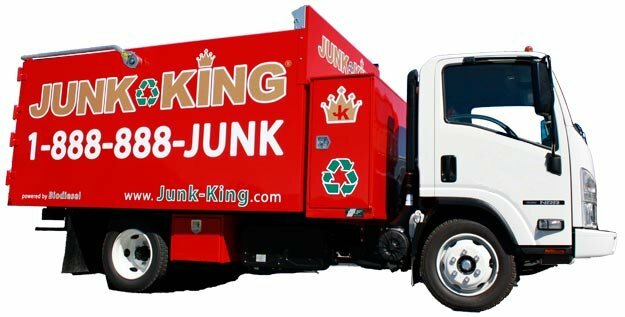 While we know you have a number of options, it pays to call Junk King. Our junk removal services provide an easy solution for clearing out clutter and hauling away unwanted junk. 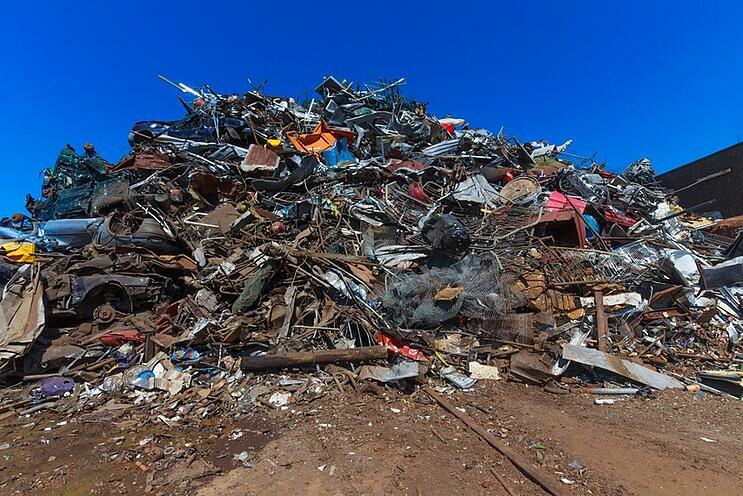 Your junk does not have to end up in a landfill, and Junk King believes in recycling every bit of material possible. You can feel good about doing the eco-friendly thing when you work with us.